Reg Penney in the Anglican Church in Port Blandford. 2017. Photo by Terra Barrett. 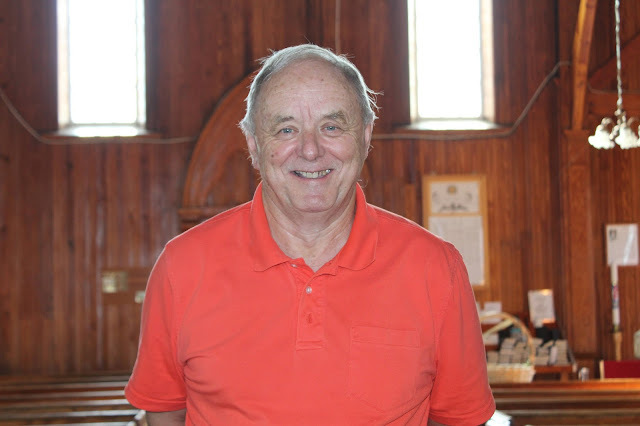 On August 10, 2017, as part of the Collective Memories project, I interviewed Reg Penney about growing up in Hant’s Harbour, moving to Port Blandford, his teaching career, the stores and shops of Port Blandford, and his time as mayor. This interview was also part of our Oral History Roadshow and sections of the interview were used in the booklet “Everything Was Wrapped in Brown Paper: The Old Shops of Port Blandford”. If you would like to listen to the full interview on Memorial University's Digital Archives Initiative click here or you can check out the pdf of our booklet on Port Blandford’s old shops here.